If you could have a superpower, what would it be? Other than flying and telepathy (which, let’s be honest, would probably actually be awful), breathing underwater is one of the favorites. You can hang out with Aquaman and Ursula (sorry Ariel, but she looks more fun), and when the apocalypse comes and we’re all living under water, you’ll be fine. 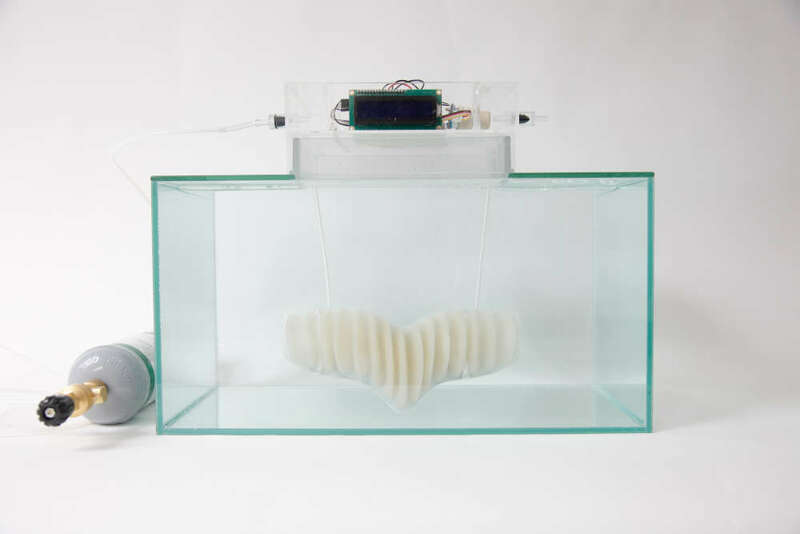 With this in mind, a student a the Royal College of Art, London has designed a 3D-printed amphibious garment called AMPHIBIO – essentially a set of gills – for this very purpose. With the world set for a global temperature increase of 3.2°C (5.7°F) by 2100, rising sea levels are a very real threat to large coastal cities, potentially affecting up to 2 billion people – or 26 percent of the current global population. Kamei’s nifty little device uses a specially designed porous, hydrophobic material that replenishes oxygen in the water and releases carbon dioxide. It is inspired by water-diving insects that create their own little scuba diving set by creating a protective bubble of air around their body thanks to their water repellent skin. The technology is easily 3D-printable too, which will be great for when we need them en masse. These “gills” could replace heavy and cumbersome scuba equipment, making it more akin to free diving but for longer. This could have immediate applications for underwater rescue scenarios – the 12 boys rescued by divers from a flooded cave in Thailand, for example, where it took weeks to work out how to get the boys and the vital breathing equipment through those narrow tunnels. So far, the tech has only been tested as a working prototype, not actually on humans, so the dream may have to be on hold for now. But scaling up and testing on humans is Kamei’s next plan. When you put it like that, it sounds rather wonderful.